Do you ever window shop online? Even if you don’t have the means to spend the money right away, it can be a lot of fun looking around to see what you *would* buy if you could open your pocketbook! 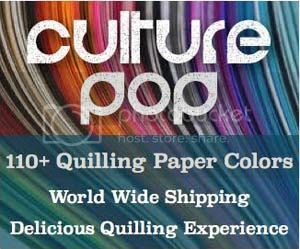 Today I’m taking an imaginary shopping spree on Amazon for paper quilling supplies. I have a pretend $100 to spend. I’m going to share with you what I would buy. Then I’d LOVE it if you would share your own imaginary shopping list with me as well in the comments! I know everyone will have a different list because everyone has different supplies already. So here is mine! This book looks like it has some lovely techniques, I’d love to have it! This template looks great for making circles that are much larger than the circles in usual quilling circle templates! You know I love to try new sealants, topcoats and glazes. Here is one I really want to try. I’m guessing and hoping that it would work like the Ceramcoat all purpose sealer, but I need to try it out!! Yep, another sealer! I love using anything that is both sturdy AND non toxic, so I definitely want to test this one. If I’m trying this brand of sealant I’d like to try the varnish with it as well! I am running low on blank cards, so I’d pick some up. I like the colors of the first pack! The second pack has die cuts in front of the cards which is fun, so I’ll get some of those too! I always like to add a cute quilled gift tag to gifts, but I usually just cut out my own from paper. I’d love to have some of these cute die cut ones handy! Well, I put all that into my shopping basket on Amazon and it’s just $2 short of $100, so I guess that’s about all I have to spend! 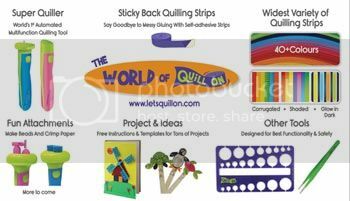 I know some of you who are just beginning paper quilling would spend more money on fun tools. Since I already have a lot of the tools, I’d go for some other things that are higher on my list these days. I’d love to know what you would buy if you could go on an Amazon shopping spree for quilling and craft supplies! Make your list and add it here as a comment, or just mention a few things you would definitely buy. So, what would you buy if you had $100 to spend? NextPaper Craft Linky Party for November! Good to know it’s a loved book!